‘Love’ for India, and steel crisis! While the government, particularly some Tory MPs in marginal constituencies like Harrow, show their ‘love’ for India by over doing the Modi factor, visiting India, erecting the Gandhi statue and claiming enhanced interest in increasing trade within India, the steel factor tells a different story. Tata Steel, part of Indian conglomerate Tata, was allowed grip on the UK steel industry in 2007 but then for years has been suffering huge losses due to the government’s business policies, to a point that now it is to sell off its entire UK business. It looks that the government let Tata trade sink in the UK as it is prioritising its relationship with China and has refused to allow tariffs on Chinese steel to stop dumping. There have been allegations that Chinese steel is being sold in the UK at unrealistically low prices. In 2014 the UK imported 687,000 tonnes of steel from China, up from 303,000 tonnes in 2013. Such is the steel depression in the UK that last November Angad Paul son of Indian Billionaire steel magnate plunged to his death from his penthouse in London because his company seemingly being on the brink of collapse. While all this was happening, the Business Secretary Sajid Javid failed to timely alert about or revert the steel crisis. He is rightly under pressure to go because of his poor response to the crisis. Unions and opposition parties say there has been "chaos", and want immediate action to save the threatened steel plants. 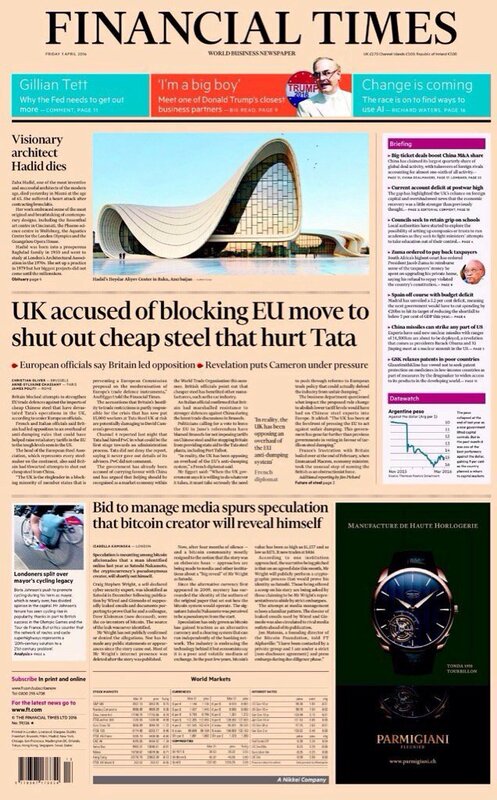 But the government seems to have no forward plan if Tata sells its UK business within days.